There was some hesitation when approaching this new live-action remake of Disney’s 1941 animated classic, “Dumbo” which hit theaters last Friday, March 29. First, the original was just 64 minutes long, being one of the animation studio giant’s shortest films, so there was the question of how its 2019 version could expand from that with worthy storytelling. Second, the original has since suffered from allegations that it contained racist undertones, like having several singing black crows which some critics argued were perpetuating African-American stereotypes of the time. Third, it was not known whether the remake will portray the infamous scene from the original where Dumbo and his ally, Timothy Q. Mouse, got drunk and saw hallucinations of pink elephants. Fourth, while the original has now been viewed as one of Disney’s underrated gems with memorable animation sequences and a heartfelt plot, the remake is directed by acclaimed director Tim Burton who is famous for his dark and eccentric style. So, when the cinematic circus opened to showcase a CGI-developed Dumbo, the elephant was not only faced with the above concerns, but challenged to soar past them with its adorable large ears. The result was, unfortunately, an average takeoff at best. The remake chronicled Dumbo’s birth and rise to becoming a performer at the traveling Medici Brothers’ Circus in 1919, led by the passionate Max Medici (played by Danny DeVito). Dumbo was looked after by widowed equestrian performer and World War I veteran Holt Farrier (Colin Farrell), and his two children, Milly (Nico Parker) and Joe (Finley Hobbins). The circus company would struggle with the public mocking Dumbo’s unusually large ears; Dumbo’s mother, Jumbo, being sold away; and the mysterious arrival of Dreamland amusement park owner V.A. Vandevere (Michael Keaton) and his initially arrogant trapeze artist, Colette Marchant (Eva Green). Burton deserved credit for trying his best to bring Dumbo’s story to life, which he attempted by incorporating the aforementioned original human characters in the remake. It is DeVito who outshined the rest of the cast with his uproarious disposition, intelligent dialogue and sometimes humorous slapstick comedy. DeVito, who previously collaborated with Burton and Keaton in 1992’s “Batman Returns,” portrayed a believable and sympathetic ringmaster, whom the audience could root for as he works to keep his business and workers afloat despite Dumbo’s performing shortcomings and Vandevere’s antagonism. Despite having lost his wife and his left arm from the war, Farrell’s character was a respectable paternal figure whose genuine kindness towards his children, his colleagues, and Dumbo made him a well-deserved leading man here. Keaton’s character felt underwritten though as his motives did not initially feel clear and his background was murky. When he revealed that he wanted Dumbo only for his amusement park, the delivery was not as impactful as one would hope and the result on the audience’s part was a feeling of indifference as opposed to what Burton intended: shock. Parker’s character, Milly, Holt’s science-enthused daughter, struggled the most with her performance though. It immediately became apparent that her acting felt stale, as whenever she spoke, it sounded like she’d just read them straight from her dialogue papers, without producing much emotion or pizazz. Her dull, sullen facial expressions also made the first half of the film falter as she contrasted from her more enthusiastic brother, Joe, and she could not make Dumbo’s formative scenes work. Perhaps her character should add acting to her list of future classes, besides science, once she would grow up. With special effects and an overall sympathetic look, Dumbo himself tried to be the leading figure here. Since Timothy Q. Mouse was not by his side in the remake, Dumbo learned to fly instead with the help of the Farrier children and literally, a feather. His endearing attitude, initial naivete and expressive trunk were aspects that reminded viewers of Disney’s classic filmmaking age of the 20th century, where childhood innocence presided. As audiences have long known Dumbo’s name and his iconic large ears for decades now, it ironically felt jarring during scenes in this remake when characters made fun of the petite elephant. It was also a cringe experience in a sequence where Dumbo first accidentally revealed its giant ears to the public who then hurled insults at him, mocked him and turned away in disgust. It came to a point where a moviegoer has to wonder to oneself what exactly is embarrassing or sickening if an elephant has big ears. The remake did benefit from cutting certain controversial aspects of the original film. The drunken Pink Elephants scene was referenced by a brief sequence of pink elephant-shaped bubbles and the allegedly-racist singing crows did not appear at all. 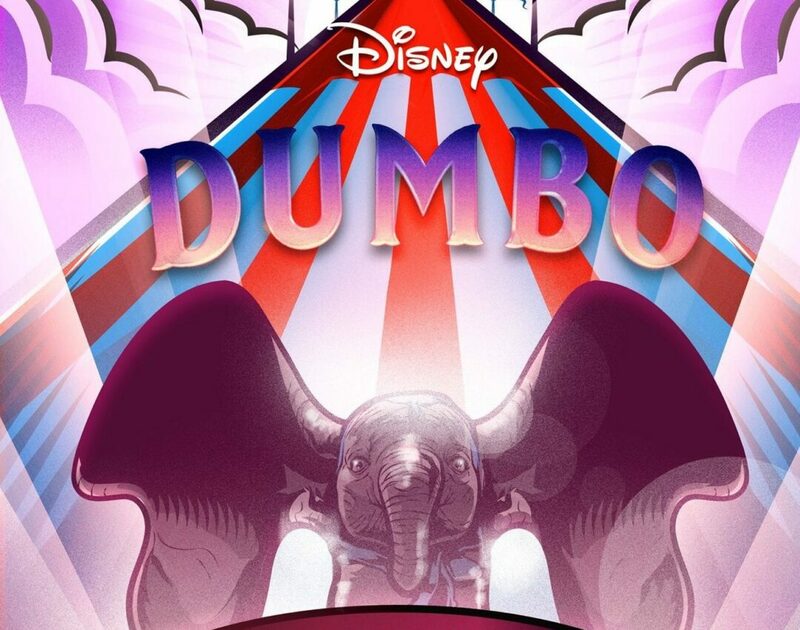 For an iconic Disney classic that was known for evoking sympathy and crying sessions as Dumbo struggled with reuniting with his mother and being accepted for his ears, this remake strangely lacked a much-anticipated emotional punch. Perhaps amid all the grandiose special-effects elegance and sets, Burton did not make much room for heartfelt impact. While it was still a thrill to watch Dumbo fly around the circus and over the amusement park at night, he forgot to bring an appropriate package of enriched storytelling and emotion with him — which, in itself, was the film’s overarching tragedy.